Bingo and Rolly are not the only pupsters inspiring puppy love – the internet is dog crazy for a cute pooch and here’s why. Beware, our round up of the best Instagram puppy accounts will cause a serious cuteness overload! 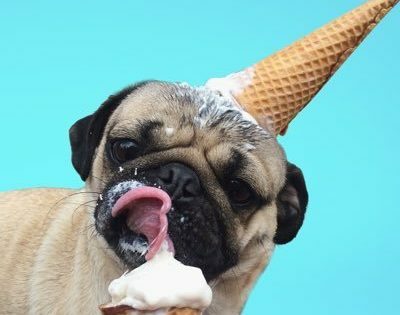 Of PAWS, it had to be Insta’s top dog himself, Doug the Pug – we wonder if Bingo and Rolly are fans…? With 3.5m followers, it’s highly likely! Norbert is an adorable dog with an elongated tongue which is just too cute for words! Plus he’s the only pooch we’ve ever known to be described as an ‘author and philanthropist’ thanks to his work cheering up children in hospital! Sprout is a tiny smooth-coat Brussels Griffon living in New York City and an essential follow if you like your pooches with a hint of style. From the sublime(ly stylish) to the ridiculous(ly lovable) – meet Tuna, a Chihuahua and dachshund crossbred, also known as a Chiweenie. A pup with a praiseworthy cause – she raises awareness for rescue dogs with the message that "true beauty comes in all forms and radiates from within”. What are your favourites? Let us know over on our Facebook and Twitter page! If that’s not enough, don’t forget you can make fur-iends with the Puppy Dog Pals interactive, walking and talking cuddly plush figures or collect your own kennel of cuties with the collectible figures – all in the new range of toys from Just Play. Check out our product rundown here.